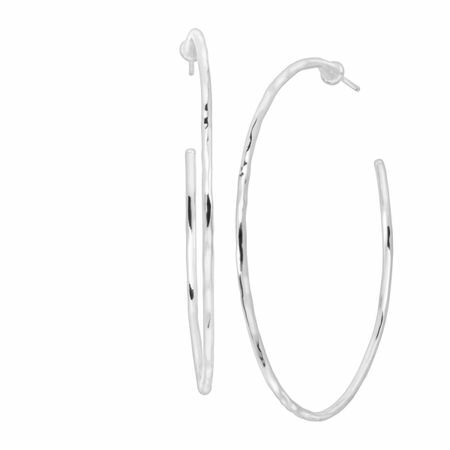 A great hoop never goes out of style, and these hammered sterling silver earrings are destined to be in your jewelry box for the long haul. Boasting a two-inch diameter, they're large enough to make a statement but delicate enough to pair with other sterling silver accessories. Earrings measure 2 1/4 by 1/16 inches and feature posts with friction-backs. Pieces come with “.925” sterling silver stamps as symbols of guaranteed product quality.